In order to get your PC/Mac to recognize the Becker Nav system, you have to follow these very specific steps for the first time set up. Once the firmware has been updated, you should be able to just plug it in and go! Note: In order to connect your Becker Nav system to a Mac computer, you will have to do the firmware update on a Windows PC first. Note: If the device is not recognized the first time, you may have to shut down and try the steps again. 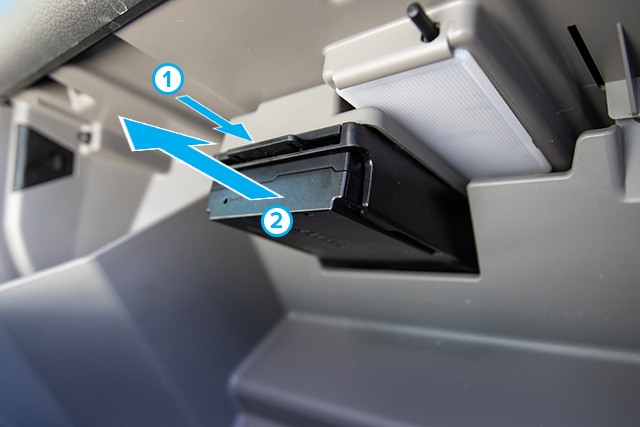 If you have not yet removed the Becker Nav system from your motorhome, do so by pressing the release latch and slide the Becker out. 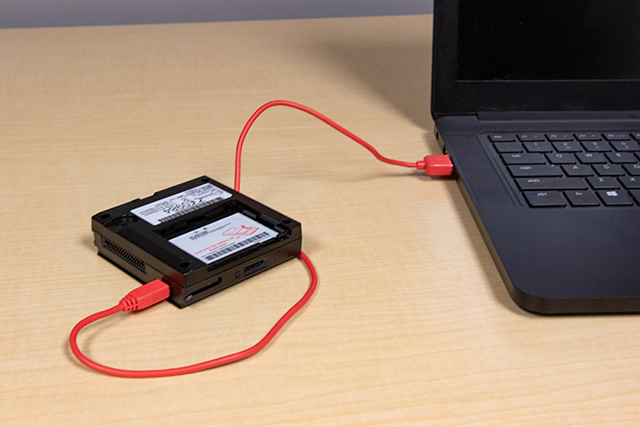 Power down your PC. 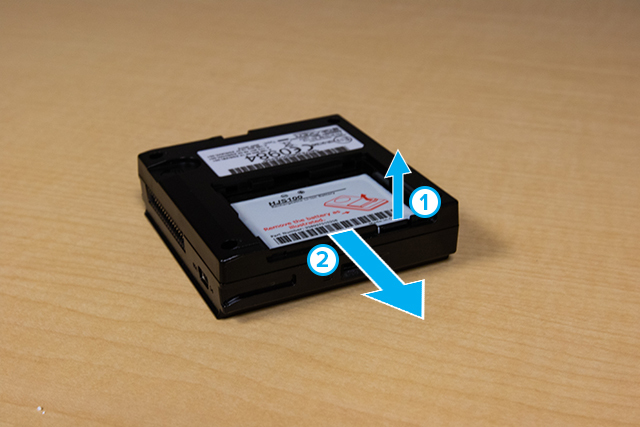 Remove the battery cover on the back side of the Becker Nav system by sliding it outwards. Remove the battery from the Becker Nav system by lifting up on the front edge and sliding it outward. With the battery removed, connect the end of the USB cable to the Becker Nav system. 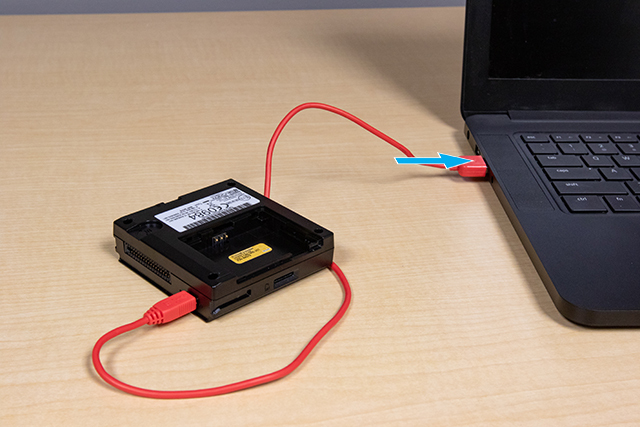 With the PC still turned off and the battery still removed, connect the 2nd end of the USB cable to an available USB port on the PC. At this point, reinsert the battery and replace the cover on the Becker Nav system. Power on the PC and wait for it to boot up. 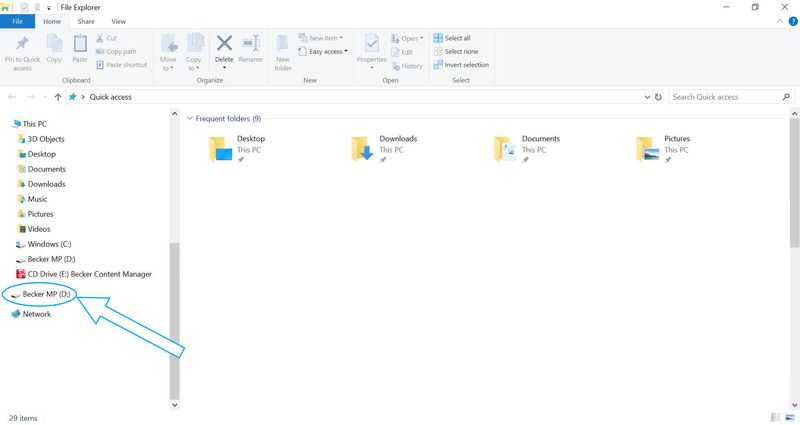 After a few minutes (depending on the PC), the Becker Nav system should show up as a drive in the Windows Explorer window. Under the drive labeled CD Drive (E:): Becker Content Manager*, Select the Win subfolder, and run the setup.exe to begin installing Becker Content Manager. 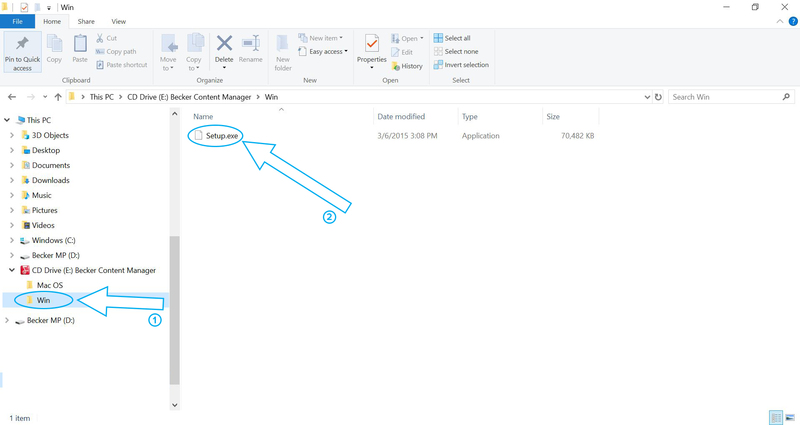 Follow the prompts in the Becker Content Manager installer to install Becker Content Manager. Once installed, run the Becker Content Manager and wait for it to find your Becker Nav system. A window will them pop up asking you to choose a name for your Nav system. 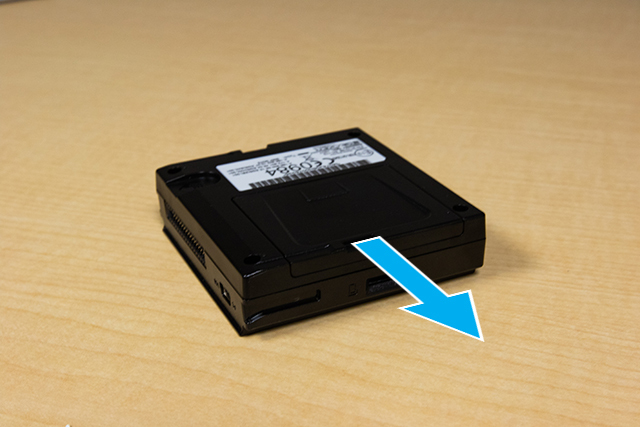 Once named, the Content Manager will need to create some local files to set up and store content from your Nav system. Once initialized, Content Manager may automatically ask you to upgrade to the latest firmware. If so, click ok and wait for the download. If Content Manager does not automatically ask you to upgrade, you will have to go to the Buy tab on the side and create a Becker account. Once you have created your account, you will be able to find Becker MAP PILOT Software listed in the store. It is a free update but you will have to go through all of the steps to confirm your order. Once the firmware is updated, you should be able to reconnect your Becker Nav system at any time simply by plugging it in. At this point, you will also be able to connect it to your Mac to continue from there. If you would like to update the maps (Free within 60 days of first activation), simply head to the Buy tab and select which map package you would like and follow the instructions.